You have probably freaked out the moment you noticed a P1684 error code. But, it should not be a cause for much concern. The P1684 error code means that the power that is running to the Powertrain Control Module (PCM) is faulty. One of the reasons for this is a weak battery. This can often be caused when you replaced the car battery or removed the battery cables. You will also need to check the wiring around the PCM. The error code is not for all car types but is limited to Honda, Acura, Chrysler, Dodge, Subaru, and Jeep. What could cause the P1684 error code? There are some different things that could cause the P1684 code to show up on your scanner. Here are some of the most common causes. The P1684 code is often showing up if you have removed the car battery and reinstalled it. The code does typically mean: Battery has been disconnected within the last 50 starts. This means that if the problem is fixed, the code should go away by itself after 50 successful cycles. The first thing you will notice with the error code is the engine light comes on. The voltage going to the PCM or TCM is low hence the error code. The PCM interprets this low voltage as lack of power. Since P1684 is not exclusive to low battery power it could also mean that the faulty PCM connectors. You may need to check the wiring and fix any loose wires. A defective P1684 could also mean that the PCM is defective. This may require you to purchase a new PCM. The PCM is the central computer system and is responsible for the functioning of most car components. When the PCM is not working there will be interference between the engine and the transmission. The PCM receives crucial engine data from various parts; it interprets the signals and sends instructions. This is done through multiple sensors found in the car. The PCM also plays a critical role in the air/fuel mixture. 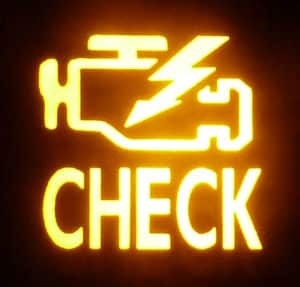 When you have a faulty PCM your car may not even start because it influences the timing of sparks from the spark plugs. Wrong fuel mixtures will lead to more money being spent on fuel and this leads to more emissions. When you have a problem with the PCM you will notice check engine error codes. One of the things that cause the PCM to become faulty is contact with water elements. Even one drop of water can ruin the entire system. PCM gadgets are also susceptible to voltage overloads. This can come from the circuit or the solenoid. A good mechanic can diagnose the problem for you but if the damage is due to water problems you will be forced to purchase a new one because it is irreparable. Many people have problems distinguishing between PCM and ECM. In fact the two acronyms are used interchangeably but they are two different components. The ECM works with the cooling system, exhaust intake and uses the data set to control fuel injection timing, camshaft and throttle positioning and fuel injection timing. The PCM controls the functions of the ECM. Corrosion of the battery terminals can lead to poor connections of the battery terminals. If the battery has been disconnected while the engine is still running or when the ignition has been switched off. When replacing a new battery you ignore to have the car’s memory backed up. 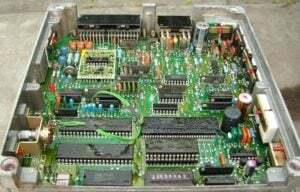 Lack of proper reprogramming PCM information when doing battery replacement. Damaged wires between the control modules and the CAN bus system. What are the symptoms of P1684 error code? The first symptom of P1684 is the engine light comes on. This may mean that you will start experiencing more engine problems. As stated earlier the problem is not that the battery is not well connected – though this could be the problem it could be the first sign for further error codes. The PCM controls many engine functions like fuel ignition and air/fuel mixture. A simple solution of disconnecting the battery to eradicate the error code is not recommended until you have carefully diagnosed all potential problems. All the information concerning the PCM is stored on the KAM chip. Here information concerning idle speed, air/fuel mixture, and other default factory settings are stored. When you disconnect the battery the chip goes to default settings. If your car has more problems you will notice the P1684 coming back again. The PCM conducts a series of self-assessment tests that include the emission test. If you try to clear the error code before your emission tests you will be charged with circumventing the law. The PCM controls the TCM and if it is not working properly you will have problems with loss of power. This is because disconnecting the PCM resets the transmission settings and your car needs to relearn how to do it again. Once the code is restarted after 50 cycles you will have to wait for the car to travel for 50 to 100 miles for the TCM to relearn transmission settings again. Loss of power to the PCM can affect the Body Control Module (BCM) and if not rectified it can cause the BCM to stop working altogether. BCM failure can cause other car modules to shut down. The loss of power can also cause your steering wheel angle sensors to malfunction. This may later cause a problem with the stability control and you could find yourself in an accident due to loss of control. The steering sensor can be connected to the anti-theft system and if this fails you may experience unauthorized entry to your car. Since the error code can be caused in various ways it is important to fast diagnose the cause. If the battery power is low you may need to recharge it and check for any lose terminals. The problem could also be that the TCM or PCM is faulty in which case you may be required to purchase a new one. 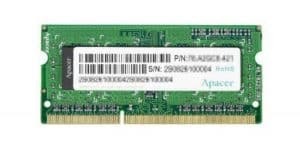 The P1684 error code does not always mean that you have poor battery connections. It could be the first symptom of further engine trouble. The PCM unit could be faulty due to circuit problems. It is vital that you identify any other engine troubles that could be connected with the PCM. Disconnecting the battery can erase all the stored PCM memory and you will have problems with transmission settings or emission tests. Record all the error codes and consult your manufacturers manual for possible problems. Do you get any trouble codes in the engine control unit? Common problems associated with a stalling engine is a bad crankshaft sensor or a bad throttle body/idle control valve.